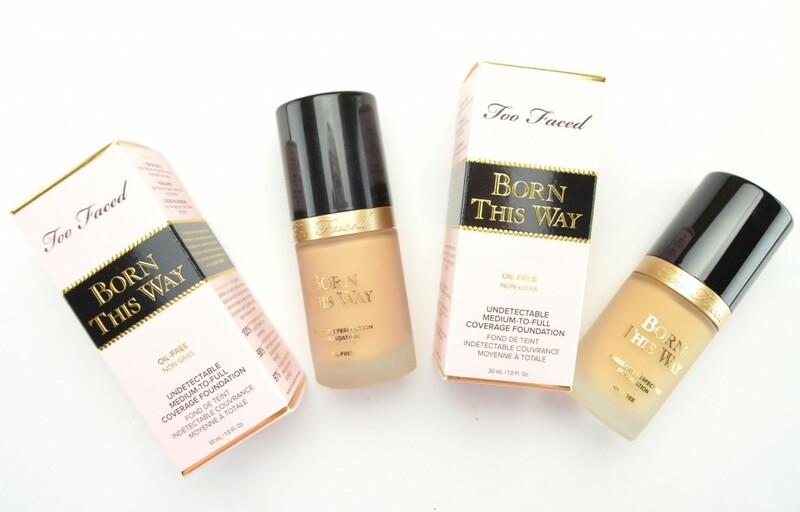 I know I’m a little late on the game, but I’ve fallen head over heels for the new Too Faced Born This Way Foundation. 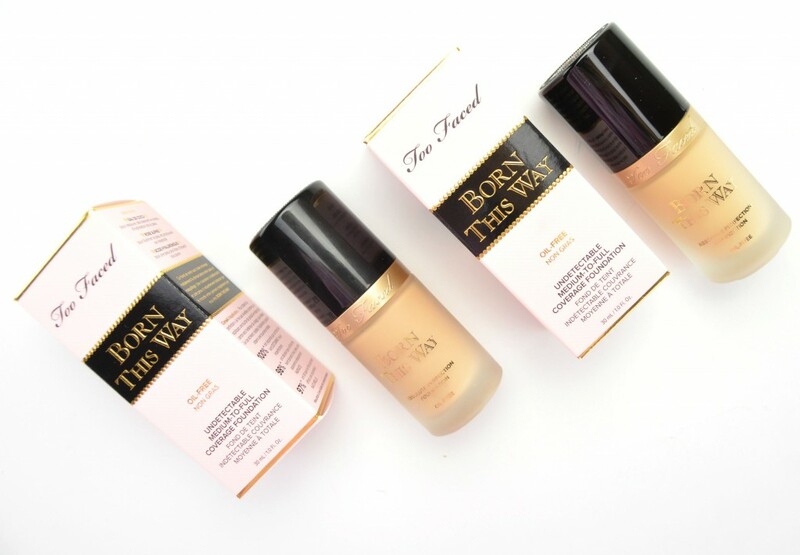 Everything about this foundation is luxe, from the pretty box it comes in, to the chic, gold detailed glass bottle, to the luxe, creamy formula. What’s not to love? This hybrid formula features added skincare ingredients, like coconut water, alpine rose and hyaluronic acid to help add moisture back into the skin, while giving a slight brightening and firming effect. 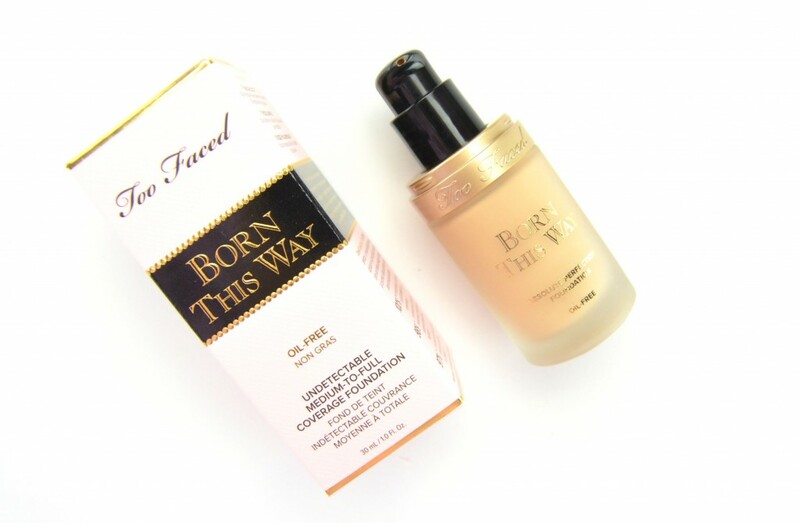 Its oil-free formula helps to diffuse the line between makeup and skin, providing an invisible, medium to full coverage finish that looks naturally radiant. It helps to hide and conceal all imperfections, while still giving a skin-like finish on the skin. 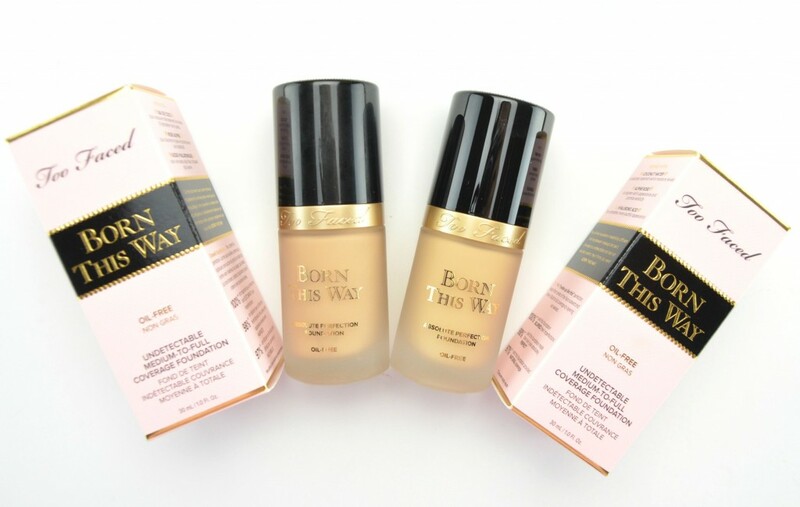 Too Faced Born This Way Foundation comes packaged in a pale pink box with gold embossed detailing with a soft, slightly frosted glass pump-style bottle within. 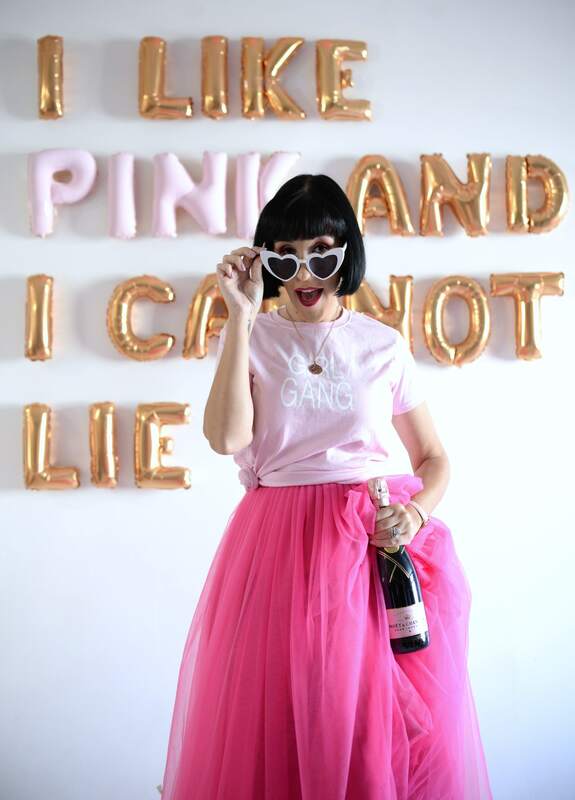 It has a rich and creamy texture that glides on smoothly and covers just about everything in a single pump. It has a satin-like finish, with almost a soft-focus finish that never looks too flat or dull. It’s easy to blend out and since it doesn’t set or dry too quickly, you’re able to build up the layers, from a medium to full coverage finish without looking or feeling too heavy or cakey. Once set, skin will instantly feel dry to the touch, without the need of a setting powder. It lasts throughout the day without fading, creasing, settling into fine lines or oxidizing. Since it’s so long-wearing, it does require a good makeup remover, preferably containing oil, to help remove it at the end of the day. 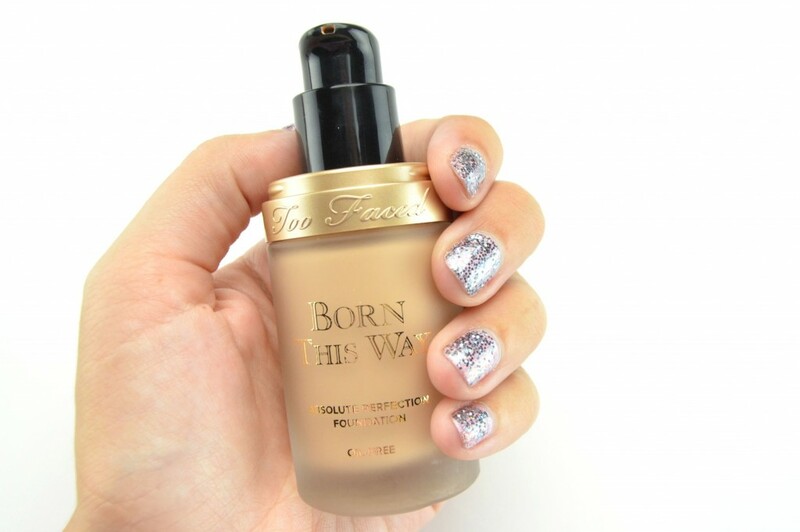 If I’m being completely honest, is Too Faced Born This Way Foundation totally invisible once applied to the skin, absolutely not? Can I still see the foundation on my skin after applying it, absolutely? That being said, I can only see the foundation if I’m up close and personal with a mirror, if you’re an arm’s length away from a friend, I think it goes completely undetected. 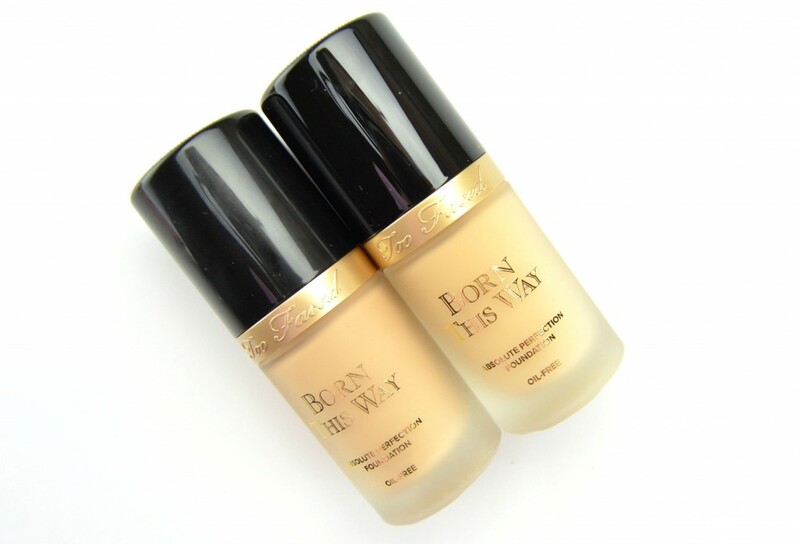 It gives an extremely natural looking finish on the skin in as little as one pump. A single pump covers just about everything, including sun spots, blemishes, hyperpigmentation and freckles, whereas two pumps will completely provide a seamless and flawless finish with absolutely no imperfections. Even though it provides such extreme coverage, it feels completely weightless on the skin. It’s comfortable to wear the entire day, without feeling tight or dry. It does a wonderful job at replenishing my dry, dehydrated skin with extreme moisture, even without my daily moisturizer. It also seems to give the appearance of brighter skin for a more youthful appearance, even with only the smallest amount. 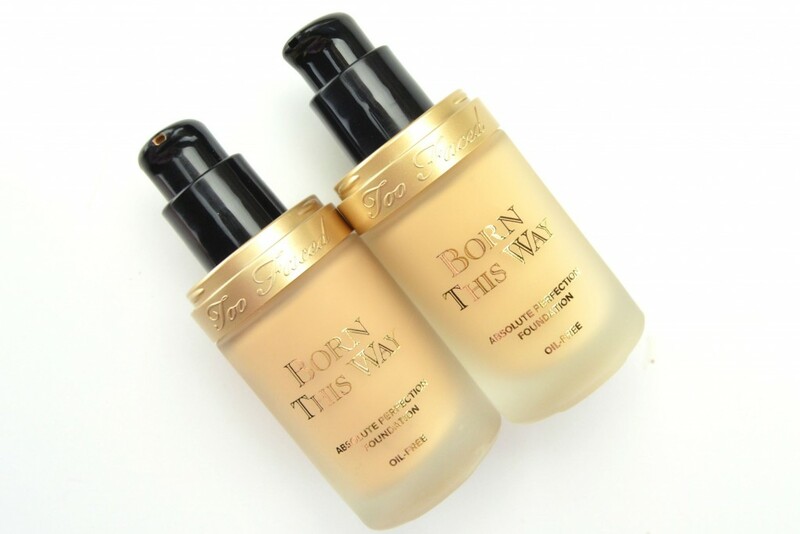 I’ve been wearing Too Faced Born This Way Foundation every day for the past 3 weeks and even through the heat, humidity and sweat, it stays put without transferring or budging. It looks just as good at the end of the day as it did when I first applied it in the morning. I found the best way to apply it is with fingers, I smooth it all over my entire face and then go in with a damp beauty blender to blend and buff it into the skin. Keeping in mind I do have drier skin, this unique and innovated formula helps to control shine and oil, without looking extra dry on my already dehydrated skin. For those with oily skin, I think applying a small amount of setting powder will help prolong the foundation and keep the shine at bay. 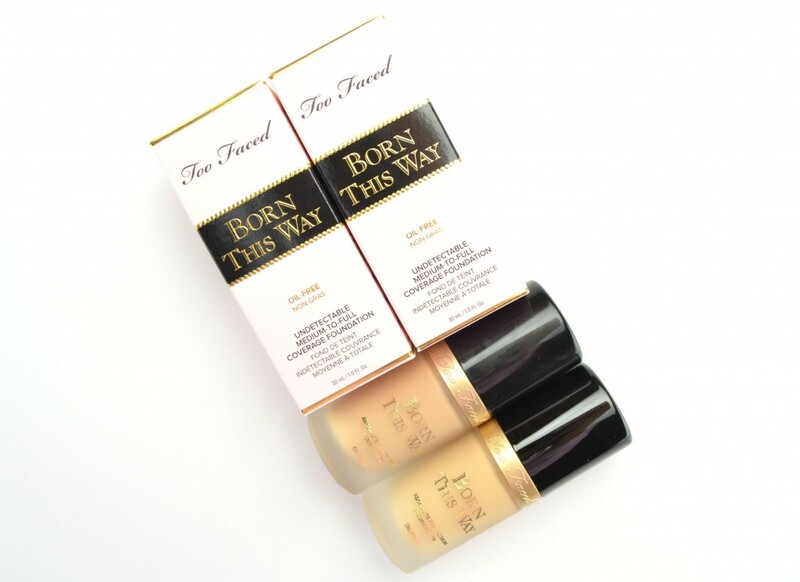 It does an excellent job at concealing all my dark spots and breakouts, while still managing to look natural. The limited 12 shade selection, although fairly versatile, may be hard for everyone to find their perfect shade selection? I was luckily enough to find my perfect shade, for right now, and a slightly lighter shade for the winter months, yahoo! It retails for $49 for 30ml.